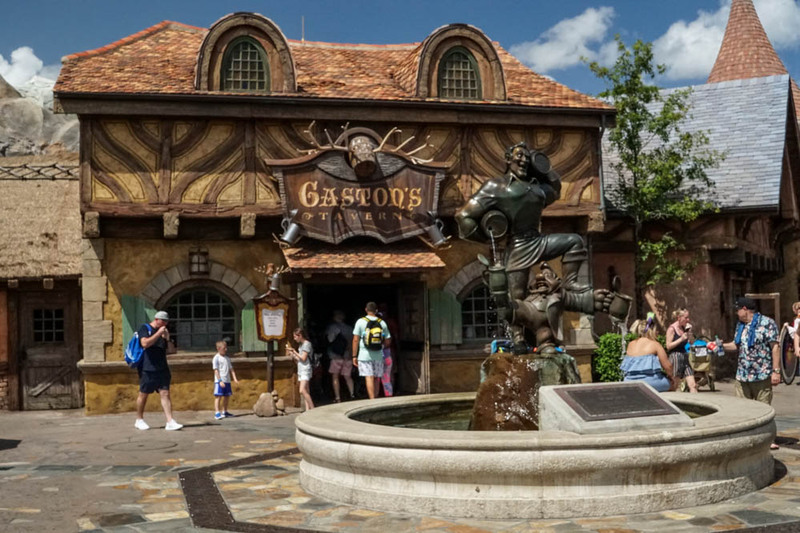 Guests can visit Gaston’s Tavern, created to look like the tavern from “Beauty and the Beast” for snacks and drinks. Items on the menu include a Roasted Pork Shank, Warm Cinnamon Roll, Chocolate Croissant, Mixed Fruit Cup, Sliced Apples with Caramel Sauce, Mixed Vegetable Cup with Dip, and Hummus and Chips. Various soft drinks, juice, milk, and water are available. The restaurant's signature drink is LeFou's Brew, a blend of frozen apple juice with a hint of toasted marshmallow, topped with all-natural passion fruit-mango foam in a souvenir goblet. 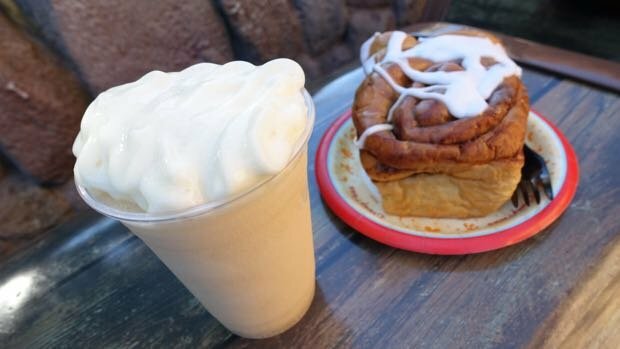 Menu discrepancies or corrections about Gaston's Tavern? Let us know!